The Hope Centre orphanage in Nepal is home to 30 children. New Futures Nepal empowers disadvantaged children and adults of Nepal by raising funds for initiatives that promote health, education and independence and supports social integration for children with disabilities to live in the community and within safe and loving homes. 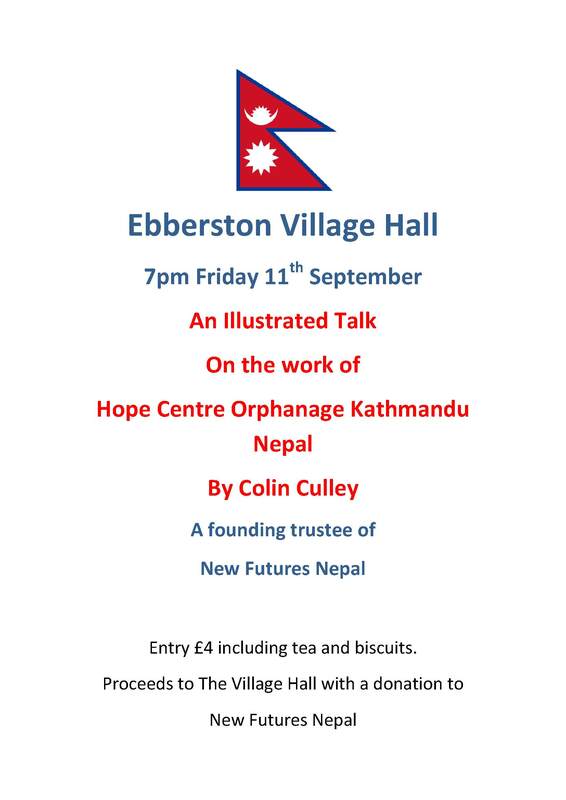 This will be an enlightening and enjoyable talk about the charity’s work. There will be a raffle at the end of the evening too.